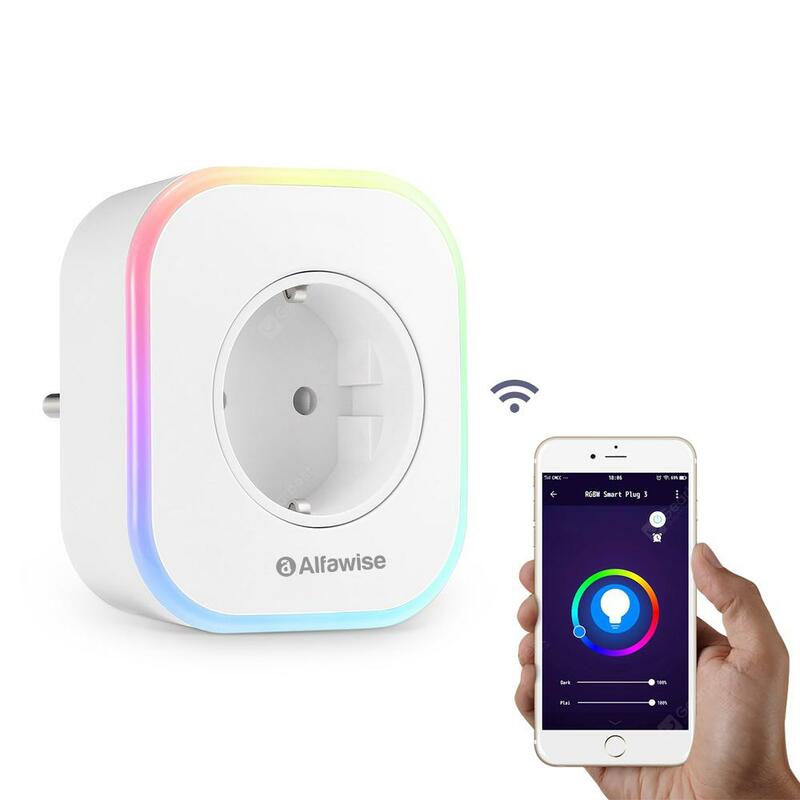 Alfawise SA0X WiFi Smart Plug Socket with LED Light USB Connector - WHITE w cenie $15.99 | Chińskie kupony rabatowe, zniżki i okazje! ●RGB lights / night light: 8 scene modes built-in colorful atmosphere lights ( night mode, reading mode, part mode, casual mode, soft mode, rainbow mode, shine mode, gorgeous mode ). You can also adjust the brightness of the warm night light that standby for you at night.